Parenting is a tricky thing. It is the best of times and the worst of times. The most joyous thing imaginable and also the hardest thing imaginable. It is taking tiny little humans and helping them grow and become all that they want to be. It is rejoicing when they work really hard and do well on a test or learn to do something new. It's watching life through eyes of wonder. It's caring enough to discipline and worry and lose sleep. It is feeling like your heart could burst and break sometimes both in the same day. And sometimes it's lonely. I talk to so many foster and adoptive moms (and just moms in general) who feel lonely and isolated on this journey. This one's for you. I struggle… A couple of months ago I had lunch with my mom. It was a day that my kid’s school had called and said, “Mrs. Terry. Your child pushed two kids and then threw a stack of papers at her teacher’s head.” Before we adopted the school used to call and say, “Mrs. Terry. THERE IS NOTHING WRONG! We just wanted you to know that Noah’s lunch account was overdue and you needed to put some money in there.” Oh my gosh- I miss those calls!!!! So there I am after getting one of those crummy calls from school. The night before my kid had run away and given me the whole, “I’m sick of being in this family bit”. You guys know this bit, yes? I was crying in the restaurant. Servers love that by the way. *not*. No one wants their kid to be that kid. And yet- here we all are. Our kids hurt and so we hurt. I was telling my mom about what a fraud I felt like knowing that this retreat was coming up and I felt like I needed to be able to tell you all something profound and wonderful and hopeful and all I could think of was “My kid just tried to hurt her teacher... with paper.” My mom gave me a little piece of advice. She said, “Show up and do it anyway." Sometimes us moms, we just need to show up, everyday and know that other people just show up too. So you showed up. And I showed up- and here we are. And I know that was not an easy task. Because you are doing the hard jobs out here. You are managing those phone calls from school. You are kissing boo boos and giving hugs and making lunches day in and day out. You are throwing junk under the bed and in the closets before the social worker shows up. You have to call 13,000 approved respite providers before you can even leave the house. You probably got in a fight with your spouse right before you left the house and on the way here you wondered if it was even worth it. Is any of this worth it? But you still did it. You showed up. And you move heaven and Earth just to show up for your kids every single day. Even when you don’t want to. I have had a lot of days when I didn’t want to. Let me tell you a little bit about our family. There are six of us- me, my husband, and four kids. My husband and I were married about 28 seconds before we found out we were expecting our first child. So we had a kiddo and then a few years later we had another one. One that cried all the time. And I was DONE. I mean done done. I wasn’t even really sure I liked being a mom, which was strange- because all I’d ever really wanted to do was be a mom. A few years after pronouncing we were done, adopting was on my heart. I’m sure like many of you, it felt like God’s true calling on my life. It was kind of crazy because we only knew one or two other families in real life who had adopted and then Monica and Chandler on Friends. After a year of me talking to my husband - he would say arm twisting- about adoption he finally said, “Ok. Look into it.” So what I did was get out the yellow pages. This was in the olden days of yore circa 2008. I looked up our local foster care agency and called them up and said, “Hello. 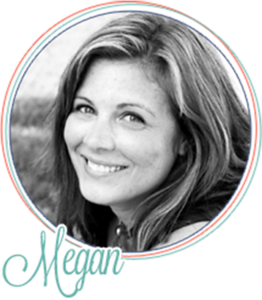 My name is Megan Terry and I would like to adopt one of your boy babies.” Bless my heart. It’s dangerous when we don’t know what we don’t know, isn’t it? I cried out to God and heard NOTHING. I felt like God was playing some kind of sick game with me. During our adoption process I had never felt more sure of anything. I felt like for the first time in my life I felt like I was doing exactly what the Lord wanted for me. So here in my weakness and my desperation, I felt completely abandoned. Honestly, I got so angry with God I turned my back on him. I was too scared to tell anyone how badly I was struggling. After all- everyone around us had been praying for this precious little bundle so how dare I now tell them that it was all just crumbling. It was very isolating. Finally, I must have hit rock bottom because I lost my will to hold it all together and when people started asking me how I was doing I started telling them the truth. 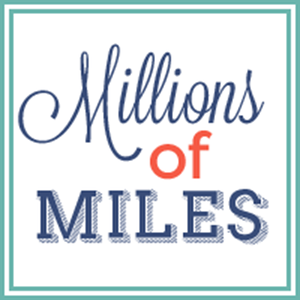 That felt so good that I wrote about how hard this adoptive mom thing was on my blog. I thought people would run. Some did. Some didn’t understand what in the world we were going through but for the most part mom after mom looked me in the eye or wrote me emails and said, “Me too.” There is so much power in “me too”. At home, I kept going through the motions. Every day I got up, got out of bed. Took my oldest kids to school and sat and stared at the child in my house who loved everyone but me. It rocked me so deeply that I couldn’t even really make sense of who I was anymore. It was a random Tuesday the day the light came back on. I had been going through the motions for 18 whole, long, awful months. 18 months of feeling like a terrible mom. Like any person at all could be doing a better job at this adoptive mothering thing than me. By now, Miles had started Head Start and I was sitting at the end of the driveway waiting for the bus to bring him home from preschool. Every day before that, he would get off the bus, dismiss me completely, walk in the house and get a snack and I’d walk in behind him feeling tense and defeated and riddled with anxiety. But that day? Oh that glorious day. He walked off the bus, looked me in the eye and said, “You are here every day when I get home.” And he took my hand and walked me in the house. Like no big deal. But that teeny little sentence was the beginning of healing for our relationship. We began to build trust. And out of trust, love was eventually born. If you look back at your darkest times, isn’t that where you usually find your truest life lessons? Looking back on that time I learned more about patience and commitment than at any other time in my life. But more than anything, I can look back and see that God had not abandoned me- but he gave me this reassuring feeling that his love for me had not one thing to do with what my kid thought of me or how my “mommy report card” measured up. God loved me the entire time and he loved me so much that he carried out his promise to see me though even when I doubted him. God’s view of me didn’t change a single bit no matter how worthless I felt. And that child has come to be the most loving and joyful child I’ve ever encountered. You guys, Jesus is about the funniest person I know. Cause as soon as I started to find joy in the journey of mothering again, he was all, “Megs, what about foster care?” Oh that Jesus. He’s hilarious. So we fostered for a bit and felt like the most disastrous foster parents that ever lived. (Do you sense a pattern here?) At one point we had two kids in our house named Sadie. What in the world? We were calling kids by first and last name in our own home. Sometimes foster care is just weird, can I get an amen? And then for giggles he said, “Megs there’s this girl who’s adoption is being disrupted. Do that, mmmkay. ” This is Jesus’ version of a mic drop. That’s how we got our fourth child. I would like to hashtag everything in my life after that to this point #jesustakethewheel. I was right back in that eternal circle of waiting for any tiny amount of light to break forth from that darkness again. But this time I was armed with the knowledge that Jesus is crazy about me even when no one else is. So how do we reconcile the crazy reality that is our everyday life with the peace and joy Jesus wants for us? How often does the enemy enter our lives and whisper lies to us? How often does he steal our joy? How often do we feel like EVERY other woman on the planet is doing this mothering gig better than us? We live in an age where we know more and have more access to things and knowledge than ever before. But I’d venture to say we are less joyous than we’ve ever been. But we want everyone to think we are so freaking happy! Look at our cute little families! We feel like we have to compete. We look at pinterest and facebook and instagram and we gage our worth against the pinnacle of other people’s made up happiness. We feel less than… 140 characters at a time. I can guarantee you the nights when I was happiest and feeling the most connected with my kids and my husband or my friends- it didn’t occur to me to leave that moment to instagram it. Do you ever wonder what would happen if we put our real life foster adoptive mom life out there for everyone to see? What if we were all a community of truth tellers- the bad as well as the blessing? People would think we were insane. And then we have the flip side. On our secret boards and advice groups we see people unload their real life. We get a front row seat to other moms’ pain. And I still do the comparison game. I read a story from a mom who’s child tried to light the house on fire or who’s new foster placement put their newborn baby in the hospital. And I think, “OH MY GOSH! I CAN’T EVEN SUFFER THE BEST!” You guys? What in the world is this? We try to one up one another even in our pain. I seriously doubt that when Peter got to heaven, Jesus said, “Yeah, Peter. Crucifixion is no joke.” and Peter said, “For realz, you should have tried it upside down.” This is NOT God’s hope for us!! God designed us to be in true community- not this falsified version of competitiveness in our joy or our suffering. When we look for our worth in others, we are going to be disappointed EVERY SINGLE TIME without fail. 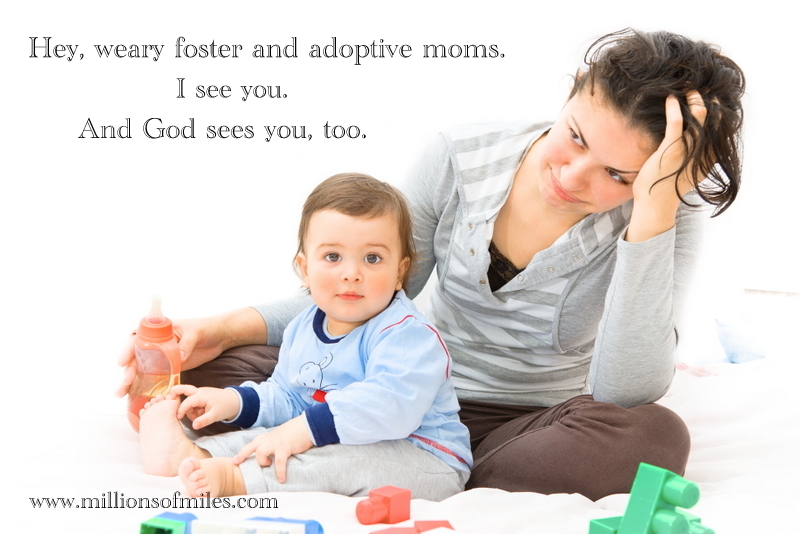 As adoptive and foster moms our worth is a tricky thing. We confuse our worth with how well we are attaching to our kids and how well they are attaching to us until it almost becomes an idol. We put our worth in our kid’s hands who will not hesitate to tell us we are unloved, unliked and not the “real mom.” We put our worth into the hands of strangers on the internet who adopt 15 kids at a time and make it look effortless. We gauge our worth by how many printouts we took to our last IEP meeting or how many connected discipline books are on our shelf. It’s so easy to feel completely defeated when we look at all that people are doing around us. Our kids are hurting, and it’s easy to feel like we are failing because we can’t heal all those hurts on a timeline that suits us. We look at their behaviors and sweetjesusonabicycle- we expect ourselves to have this super human strength and never get upset and never get torn down by the hurt they unleash. We forget that “mom” doesn’t mean perfect because it feels like everyone around us handles those behaviors so much better than we do. We see the chaos in our own homes and feel like if we can’t even get a handle of what happens in there how could we even mean anything to anyone. We believe the lies. We buy into the guilt when we admit that we’ve googled things like, “I don't like my kid” or admit to ourselves that sometimes we just feel like the babysitter. We walk around feeling like icky, rundown versions of the people we were created to be because we’ve looked for our worth in things that are not JESUS. Jesus tells us he knit us together. Jesus tells us that we are fearfully and wonderfully made. Jesus tells us that he is working all things out for the good of those who love him. You hear that? Working things out for good- EVEN IN THE TRENCH. Do you ever look at your child that gives you the most trouble and just think, “Oh my gosh. I wish I could just shake you and make you realize how loved you are and how I’m going to go the extra mile for you every time.” Do you think God wants to do this with you? The God who spoke life into the universe created YOU- especially. He knew the kids you were going to have in your house long before they were ever created. Long before any trauma and loss befell them. Not one thing in this universe happened without his permission. It wasn't God's plan for these children to need to be adopted. He loves their first parents infinitely. But when life's complications stepped in, he allowed you the priveledge of entering into life with these kids and their families. You who yells at your kids sometimes. You who feeds them cereal for dinner on the regular and calls it a day. He still picked you. You who hides the good chocolate in the closet so you can get it when you slip in there to cry. You who has lost your temper. You who has said things you didn’t mean. You has neglected your spouse because the kids are draining the life out of you and you just need a minute alone. He still picked you. You who has had thoughts so ugly you can’t even say them outloud to another human. He picked you. You who worry that you are messing up birthparent relationships. You who want to fall apart when you see your child cozy up to another woman while giving you the cold shoulder. You who feels like carrying your child’s hurts and burdens and resulting behaviors may very well crush you. He picked you. And he’s got you. Even when you feel like He is so far away. He’s there. Loving you. If we’ve learned anything from walking the road that we all walk it is that love does not fix everything. So that love of Jesus- it doesn’t mean that we won’t struggle. Wouldn’t that be amazing if love was enough to conquer all? Not one of us would be here... in the trench if only that was true. But God’s love holds us while we figure it out and while we gasp for glimpses of joy. Just like our love holds our kids, while they struggle and figure things out and look for happiness and stability in their lives. Our kids are precious and amazing and so worthy of being loved... and so are you. And he’s not going to leave you in the middle of your hard either. We know that these children are so precious to their creator and he’s going to see it through in his time. So while we are waiting on his time, remember that you’ve got this. He picked you to do the hard stuff. HE knows your worth even when you don’t see it. He knows your value even when you don’t feel it. You are desired and chased after by the God most High. In other words, God is telling you that you are all that and a bag of chips. Everything to the contrary? That’s from Satan. Tell him to get behind you and quit stealing your mama mojo. Because mama- you are the stuff. You’ve got this.